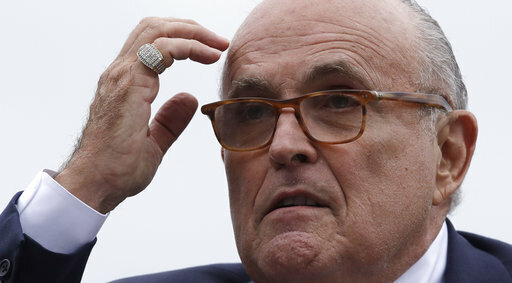 By John Kruzel on Monday, August 20th, 2018 at 11:12 a.m.
Rudy Giuliani, President Donald Trump’s attorney, said that members of Trump’s campaign had no reason to believe a key participant in the controversial Trump Tower meeting was working on behalf of the Russian government. Giuliani even suggested they may not have known she was Russian. "You asked me did they show an intention to do anything with Russians?" Giuliani told Meet the Press moderator Chuck Todd. "All they knew is that a woman with a Russian name wanted to meet with them. They didn't know she was a representative of the Russian government, and indeed, she's not a representative of the Russian government. So, this is much ado about nothing. "I don't even know if they knew she was Russian at the time," Giuliani added during the Aug. 19 interview. 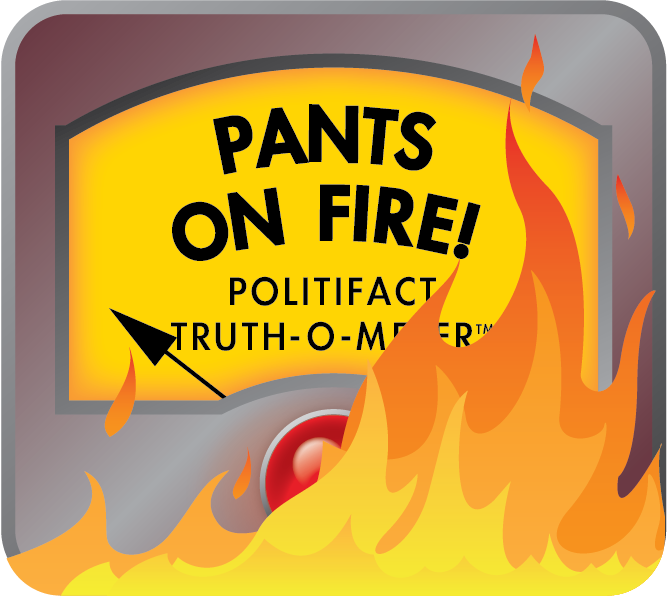 Giuliani’s claim is starkly at odds with the facts. Emails between Donald Trump Jr., and his father’s business associate — emails that the younger Trump himself published on Twitter — directly contradict Giuliani’s assertion. On June 3, 2016, Donald Trump Jr. received an email from Rob Goldstone, a business associate of Trump senior. Their correspondence set in motion the Trump Tower meeting that would take place six days later. In emails, Goldstone told the younger Trump that Moscow supported his father’s candidacy, and that a Russian government official could pass on incriminating evidence against Clinton. "The Crown prosecutor of Russia met with his father Aras this morning and in their meeting offered to provide the Trump campaign with some official documents and information that would incriminate Hillary (Clinton) and her dealings with Russia and would be very useful to your father," Goldstone wrote. "This is obviously very high level and sensitive information but is part of Russia and its government’s support for Mr. Trump," he added, noting that a "Russian government attorney" would be willing to meet with Trump Jr.
Trump Jr. forwarded the email chain to then-campaign chairman Paul Manafort and the elder Trump’s son-in-law Jared Kushner. Days later, on June 9, Trump Jr. and campaign members met with a Russian national and several others. According to reports, at least eight people attended the meeting. The key Russian national was Natalia Veselnitskaya, who Goldstone referred to in his email to Trump Jr. as a "Russian government attorney." Veselnitskaya later acknowledged having close connections with Russian prosecutors. In her capacity as an attorney, she has counted Russian state-owned businesses and the son of a senior government official among her clients. Veselnitskaya has denied having ever worked for the Russian government. But around the time of the meeting — and contrary to Giuliani’s claim — she entered the Trump orbit based on a promise that she was acting as a Russian government agent who could bruise the Clinton campaign. This fact may prove legally significant. While experts cautioned against drawing any premature legal conclusions, they told us the Trump Tower interaction raised serious concerns about whether U.S. federal election law was broken. Giuliani said the Trump campaign "didn’t know" that Natalia Veselnitskaya "was a representative of the Russian government" or even Russian. Emails between Trump Jr., and his father’s business associate — emails that the younger Trump himself published — directly contradict Giuliani’s assertion. Those emails show Trump senior’s business associate Rob Goldstone telling the younger Trump that a "Russian government attorney" would be willing to meet with Trump Jr. to supply the campaign with incriminating evidence against Clinton. The younger Trump replied: "If it’s what you say I love it" — and several days later, the meeting took place. We rate this Pants on Fire! Published: Monday, August 20th, 2018 at 11:12 a.m.